On February 3, 1998, Karla Faye Tucker was executed by lethal injection in Huntsville, Texas. She was the first woman to receive the death penalty in the state since the Civil War. Over one thousand demonstrators and 200 hundred members of the press gathered outside the prison. Emotions ran high. Even those that usually supported the death penalty did not feel it should have been applied in Tucker’s case. The reason some people believed Karla deserved clemency was the transformation she underwent once she was incarcerated. Tucker was raised by a mother who had introduced her to the world of drugs and prostitution when she still should have been playing with Barbie dolls. Prison was her first experience with sobriety since early childhood. When she emerged from her drug-induced haze, she embraced religion in a big way. This, of course, isn’t unusual for prisoners on death row. What was unique in Karla’s case was the seeming sincerity behind her conversion to Christianity, and, more importantly, her willingness to be of service to others. If Tucker was putting on an act, she was slick enough to fool Sister Helen Prejean, author of “Dead Man Walking”, and evangelist Pat Roberson, among many other high-profile supporters who believed Karla’s motives to be genuine. Even one of her victim’s brothers befriended Tucker, and became a regular visitor. Many people were petitioning for mercy for Karla Faye Tucker. There was substantial evidence she was worth more alive as a positive role model in the prison community. Everyone from the Pope to Amnesty International was calling for her life to be spared. Ultimately, the decision was in the hands of one man, Texas governor George W. Bush. Like many touched by this case, I have sought guidance through prayer. I have concluded judgment about the heart and soul of an individual on death row are best left to a higher authority… Karla Faye Tucker has acknowledged she is guilty of a horrible crime. She was convicted and sentenced by a jury of her peers. 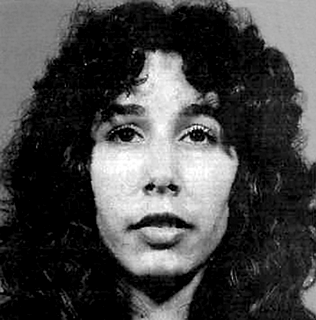 The role of the state is to enforce our laws and to make sure all individuals are treated fairly under those laws…The courts, including the United States Supreme Court, have reviewed the legal issues in this case, and therefore I will not grant a 30-day stay… May God bless Karla Faye Tucker and may God bless her victims and their families. So did her conversion bring back the people she murdered? No. @Danmo43: This brings up an interesting point. Is our court and prison system more supposed to be about revenge or quarantining people who have demonstrated they can’t be trusted to live in a civilized society until such a point in which they’ve served their time and hopefully learned their lesson? Thoughts?